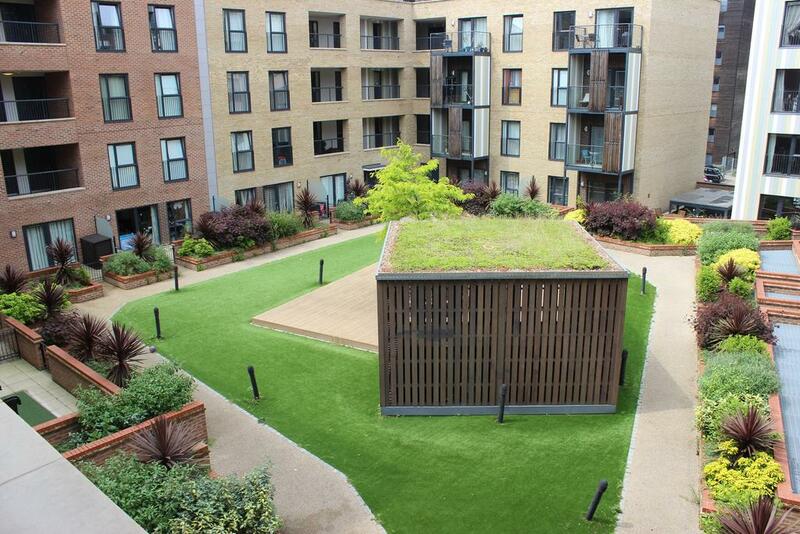 The podium garden was created on top of a car park for a residential apartment block in Romford. 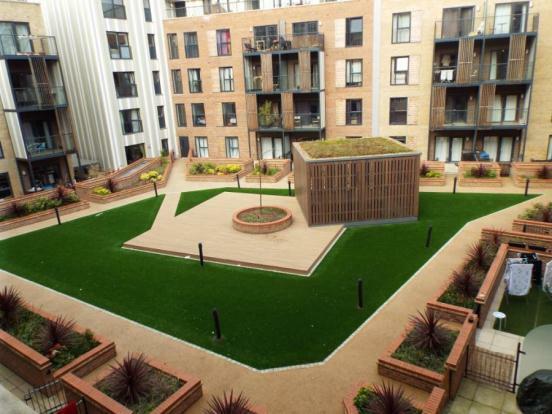 The communal garden required an attractive free draining surface which was durable but also required very little maintenance. Avonside Roofing decided our Avoca finish was a great choice for the pathways. 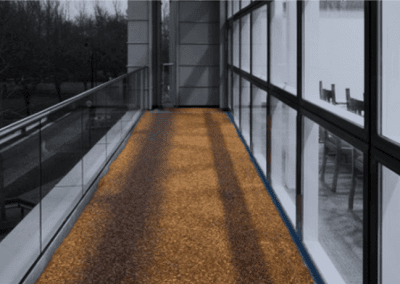 The Sudstech surfacing system comprises an integral recycled tyre, Sub base which has been tested at the British research establishment for freeze thaw safety. 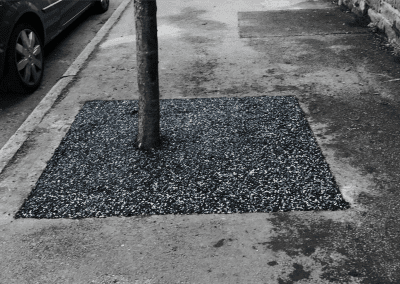 Sudstech can be installed over existing drainage channels preventing detritus blocking gutters and down spouts. 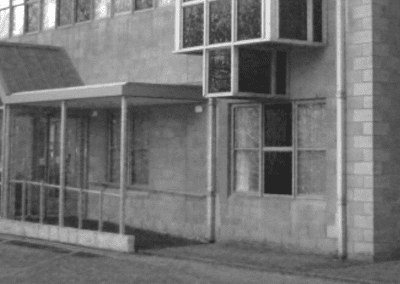 Sudstech can process more than of up to 90,000 litres of rain water, per meter, per hour.